We planted a selection of herb seedlings as well as a selection of seeds including cauliflower and courgette seeds. We are very excited that about 80% of both have germinated, and the owner now waits in anticipation to reap the crop. 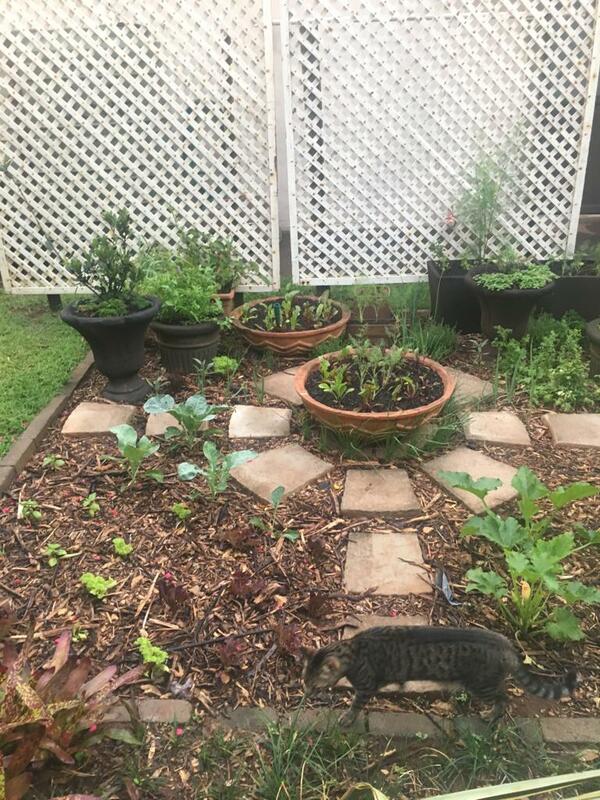 The herb garden is also right next to the rain-water harvesting tank, which also makes for easy watering in the morning or evening with pure, fresh, organic rain water. · If you choose a patch of garden that was previously lawn, this will mean less lawn mowing in future, reducing your carbon footprint. 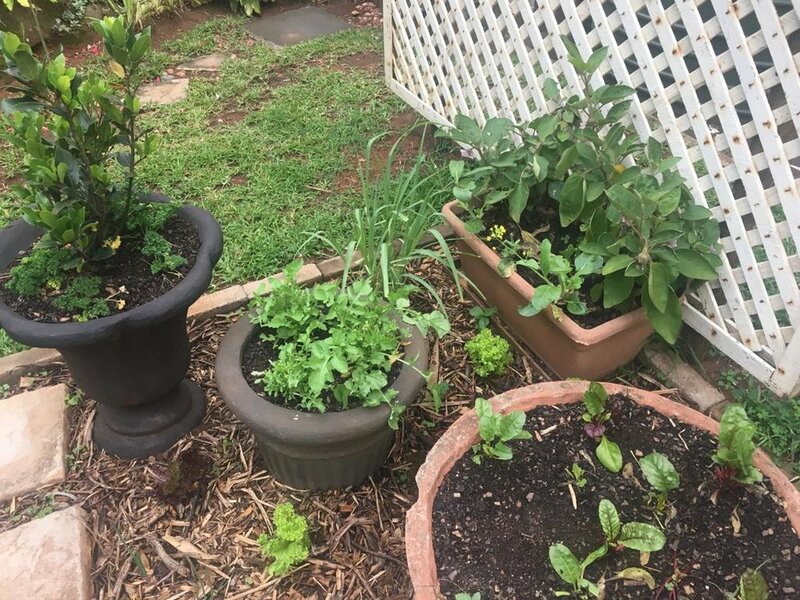 · Despite the initial outlay, having your own herb garden creates a huge cost-saving in the long term. 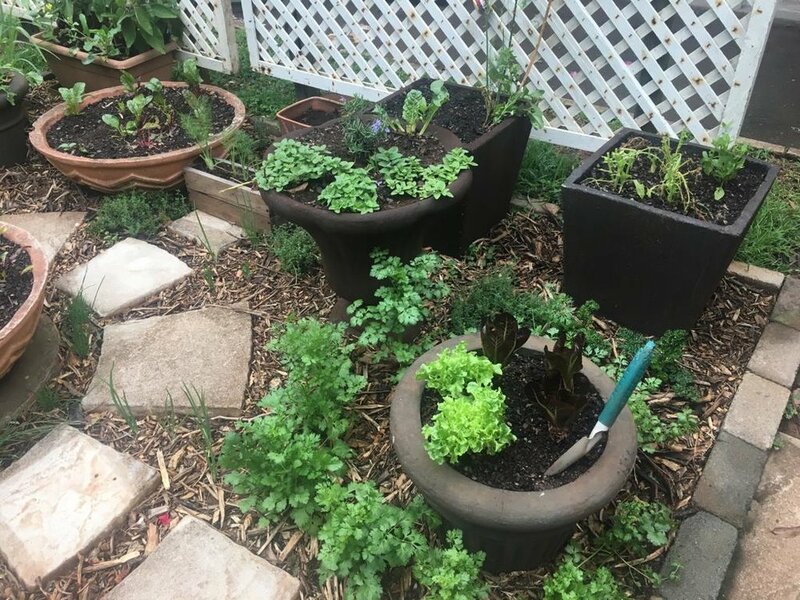 Instead of paying the retailer for fresh produce, you can now spend that money on expanding your herb garden for a greater return on your small investment. · Convenience is one of the best benefits! You now have a complete fresh pantry at your fingertips whilst cooking that gastronomic delight. No more having to rush out to the grocers for that last forgotten herb, whilst your dishes risk being spoilt on the stove. Remember most importantly that herb gardens require full sun. They will not flourish in shade. The quality of the soil for a herb garden is an important factor. Be sure to enrich the soil with compost and turn the soil really well to aerate it and get the compost well dug in. 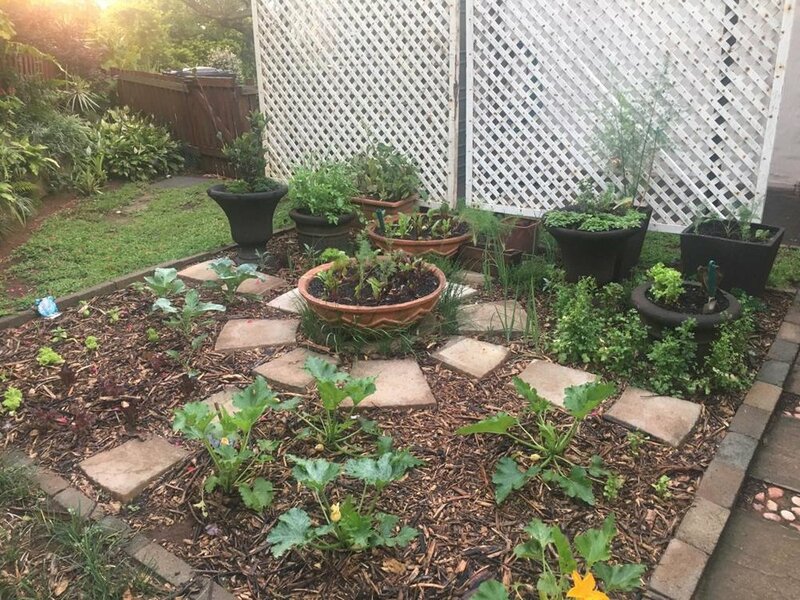 If you are planting in pots, use a really good potting soil and add a water absorbing liquid to the potting soil to help regulate the watering, as these very sunny positions in the garden means the potting soil dries out quickly. 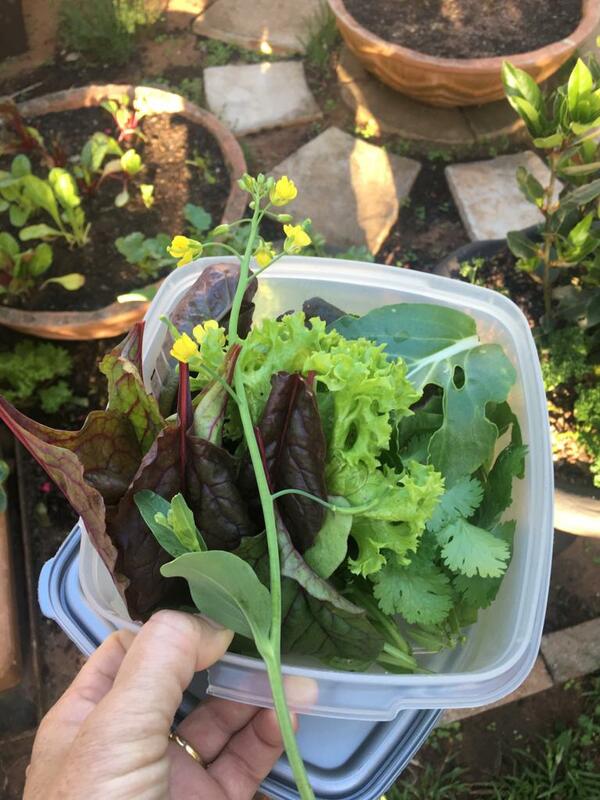 Feeding a herb garden is very important. 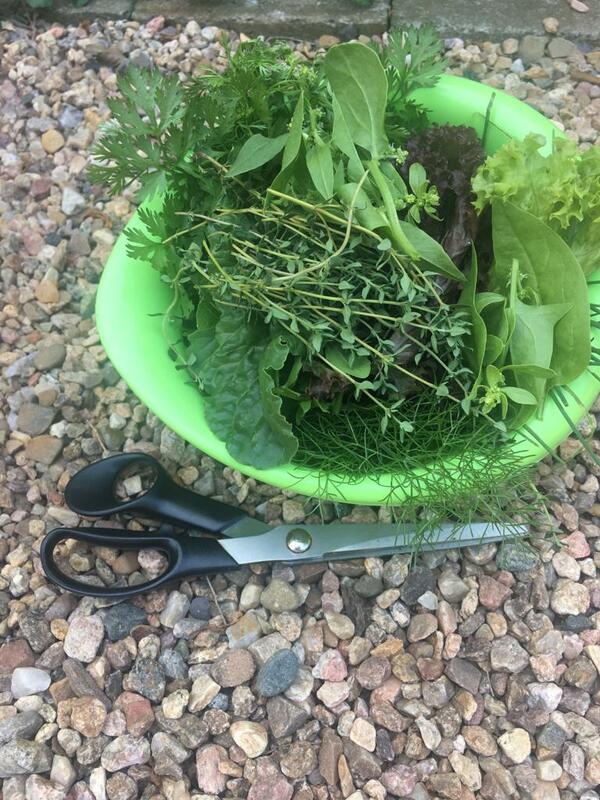 Use an organic liquid fertilizer which you can pour onto the herbs via a watering can. Once a month would be sufficient. If you feel you need help, feel free to call in the professionals for a no-obligation garden visit.